Forget the crapshoot of the collegiate draft. These young guys already have proven they can play in the NFL at a high level. They will help immediately and not be a ‘cross-your-fingers’ and wait and hope “project” like a Josh Jones, Oren Burks, Jeremy Thompson, Jerel Worthy, Quinten Rollins, etc. ~Out with the old, in with the new. GM Brian Gutekunst has given defensive coordinator Mike Pettine some tools in free agency that former coordinator Dom Capers could only dream of when he was in charge under then-GM Ted Thompson. In the Smith Brothers, Za’Darius and Preston, and safety Adrian Amos, Pettine has been given three quality, yet still early in their prime years, defensive starters. Upgrades. This is a defense that added significant talent last off-season on the back end in top two draft picks Jaire Alexander and Josh Jackson, along with bringing back veteran Tramon Williams. And if 2017 first pick Kevin King ever can stay on the field, there is talent galore on the back end. The front line is led by emerging star Kenny Clark, along with Mike Daniels. In the middle of it all is Blake Martinez, entering his contract year and coming off another season leading the team in tackles. Free agency still isn’t over yet and I wouldn’t be surprised if Gutekunst adds another piece or two (Jake Ryan just signed with Jacksonville on Saturday). The Packers own two first-round draft picks in next month’s NFL Draft, with one of them being the 12th overall pick. So there’s a good chance that Pettine will get another young infusion of talent in the draft. Sure, there are still some holes to fill on the defense. Personally, I would try very hard to bring back Clay Matthews, who can play both sides outside and can slide into the middle. Versatility is great. Sometimes, loyalty is a good thing too. Pettine is an outstanding defensive coach who has produced top-ten defenses with less talent than the Packers already have. Of course, health will be a factor as it always is. But these additions have been durable so far. As long as the Packers training staff doesn’t overwork them and lead them into pulled hamstrings, groins, abs like Geronimo Allison last year, this defense is going to be good and could be great. 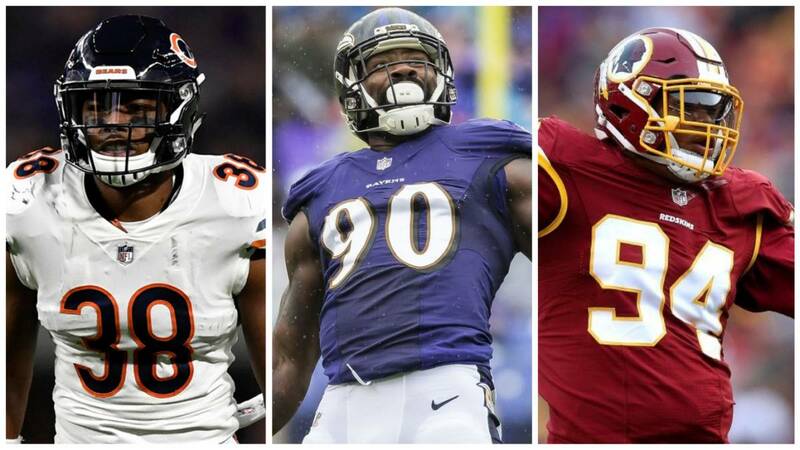 What are these new guys going to bring to Green Bay? Here are some highlights of your new additions so you can see not only what they “can do”, but what they “do do”.